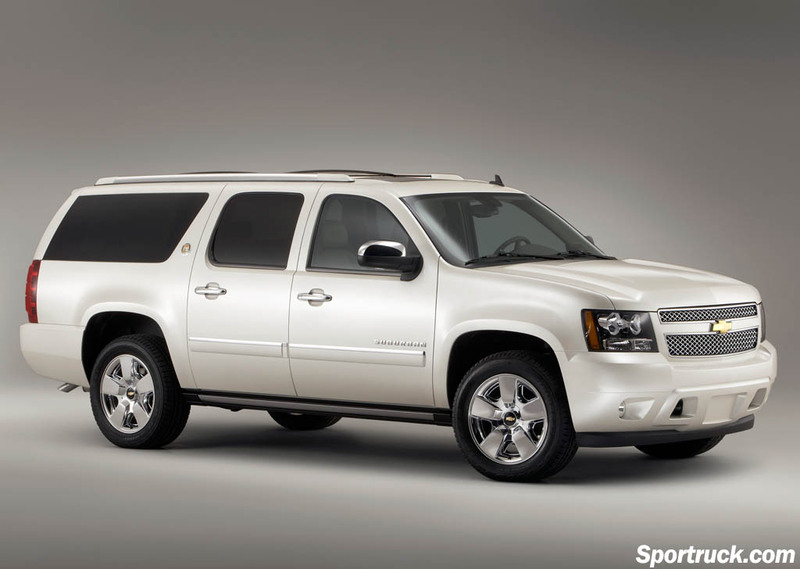 To celebrate its 75th Anniversary of the Chevrolet Suburban, GM introduces the Suburban Diamond Edition. 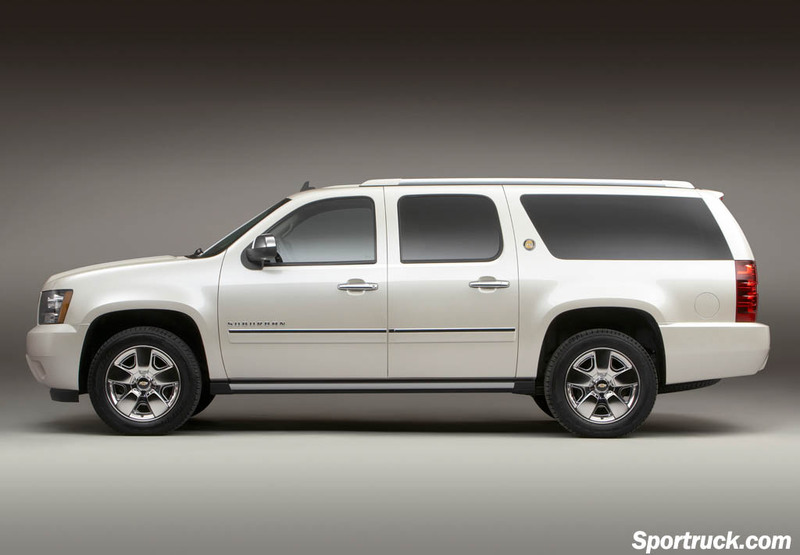 The Suburban is hailed as the longest-running model of all production vehicles. Indeed, the Suburban has spanned the decades from the Great Depression through World War II until today. Originally based on a commercial chassis, the Suburban Carryall made its debut in 1935. At the time, the marketplace was full of car-based wagons and sedan delivery cars intended for professional use. 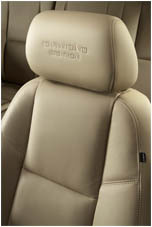 The Suburban was configured with removable seats capable of carrying eight people. Its strength and versatility made it well suited to commercial use as well as the choice of U.S. Armed Forces during World War II. 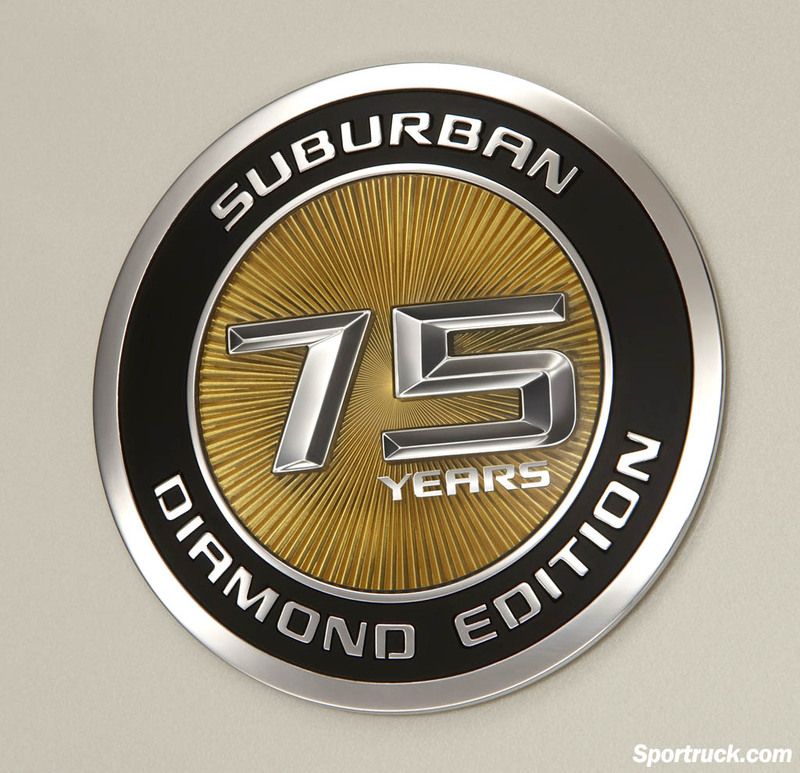 For its 75th year, Chevrolet will produce a special 2010 Chevrolet Diamond Edition Suburban. The model is differentiated by a unique White Diamond Tricoat exterior color and Cashmere leather interior. The front seats offer heating and cooling and are embroidered with Diamond Edition logos. Second-row seats are also heated. 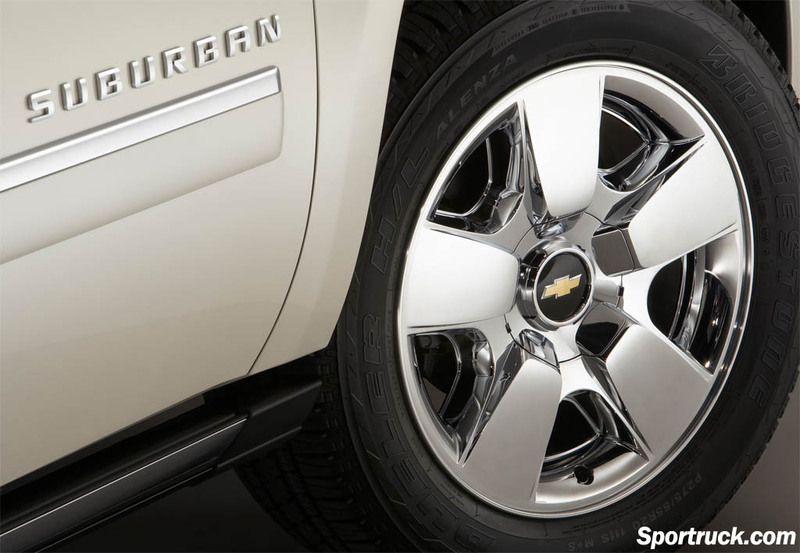 The exterior is accented with exclusive 20-inch chrome wheels and chrome roof rails. 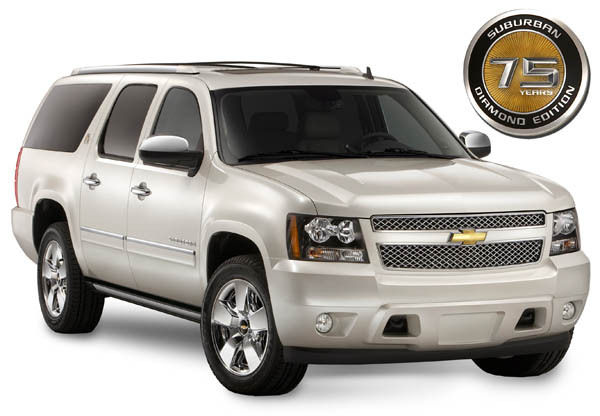 The anniversary model includes LTZ-trim level options, including the navigation radio system with integrated traffic information, XM Radio, Bluetooth phone connectivity, a rear view camera, remote start, power adjustable pedals. 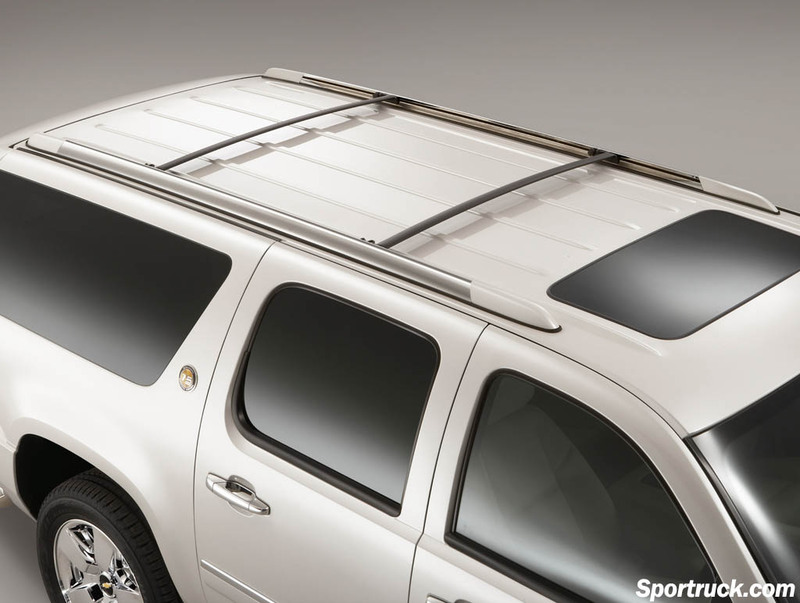 A rear seat DVD entertainment system, articulating running boards and sunroof are optional. 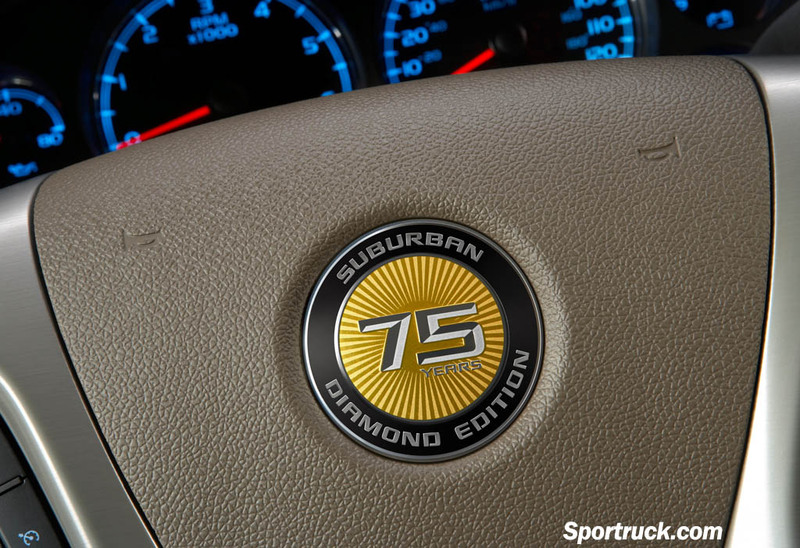 Only 2,570 of the Diamond Edition Suburbans will be produced. It will be available for sale early this summer.